With every week that passes, the words and thoughts of Maitreya resonate in the minds of millions of people who know not the source of these inspiring ideas and hopeful concepts. Many ponder deeply on their meaning and vision and are strangely comforted. Others feel enabled and energized, filled with fresh courage and resolve. Still others wonder who this man can be, so simple and relaxed, yet wonderfully wise. Many are the feelings of delight and love that His appearances have wrought. Of course, not all have found His ideas attractive, or if attractive, certainly utopian and unobtainable. Large numbers are cautious and slightly anxious, fearful that He may be the one they have been taught most to fear: simple and unassuming, wrapped in an aura of goodness and love. Thus do the many types and levels of men make known their stance and readiness for change. Meanwhile, the Masters prepare Their groups for the time immediately ahead. Men and women of every country are being brought together and trained for the tasks which await their skills and altruistic service. They know the needs of the new world and the priorities of action. Service is the key. When the call from Maitreya and men everywhere rings out, these valiant ones will arise in thousands to meet the challenge. Thus will begin a movement which, gathering momentum, will soon cover, and remake, the world. The needs of every aspect, one by one, will be addressed: the feeding of millions, starving or near, through the production and distribution of food; the slow asphyxiation of humanity by deforestation; the overcoming of global warming; the ending of the “invisible peril”; the ending of the political/economic impasse; the resolution of left versus right political systems. Each of these enormous tasks requires solutions. Each is urgent but the priorities are that no one should go hungry in a world of plenty, and that our planet is sorely in need of succour. Soon, the impact of Maitreya’s ideas will begin to be seen. Already many, worldwide, respond to His influence, directly or otherwise. More and more, the impact of His thought will clarify the tangle of interests which today take ‘centre stage’ in public debate, and the needs of every man and family will emerge as the central core of humanity’s problems. Even now, in many countries, there is emerging a new sense of the need to rethink everything, root and branch, and the concepts of sharing, justice and fairness are growing apace. As the scope of Maitreya’s appearances widens, these ideas can only be expected to flourish and grow. Thus the conscience of men is awakening and moving in the direction of right relationship. Thus, simply and calmly, does the Great Lord work to purify and sanctify the affairs of men. Benjamin Creme announced at his London public lecture on 14 January 2010 that Maitreya, the World Teacher, had recently given his first interview on US television. Share International presents excerpts from articles by Benjamin Creme’s Master describing humanity’s likely response to Maitreya’s first interviews, taken from recent issues of Share International. Maitreya will speak for the millions without a voice; for the destitute and hungry who live in anguish from day to day; for those who languish in the prisons of the world for daring to challenge the edicts of their ‘betters’. He will speak for all men who love justice and liberty and will raise His voice aloud in their cause. He will temper the wrath of those who govern by war; He will seal forever the door through which war enters and defiles the realm of man. All this, through men, He will accomplish, and so restore sanity and peace to Earth. When Maitreya appears before the world He will outline the programme for its renewal. He will show that the present methods of coping with our many problems are deeply flawed, relying as they do on rivalry and self-interest; that the present tensions and dangers are a direct result of the imbalances created by complacency and greed; that by co-operation alone will the problems of the world be solved, the poor and starving fed, the health of the planet secured, war a forgotten nightmare of the past. The peoples will listen and debate and take their stand: for the creation of a new and better way of living based on accepted brotherhood and sharing, or a descent into further degradation and violence and final self-destruction. How will you choose, then, reader? How will you cast your life? Will you stand with Maitreya and His call for justice and freedom? For a world remade by sharing and love? Will you come to know your divinity and that of your brothers? Your path to the stars a reality before you? Q. How many interviews has Maitreya given so far? A. Maitreya has given nine interviews so far [as we go to press]. Q. Is the “window of opportunity” you mentioned in the March 2010 issue of Share International, still open? Q. Have Maitreya’s interviews been taking place in America or elsewhere? A. Maitreya’s interviews have been taking place for the moment in America. But He will go from America to many countries: to Japan, Europe, South America, Russia and China, and speak to the world. Don’t forget that as He speaks during an interview there is also an internet broadcast in most cases. These are high-powered television interviews from major TV programmes and via the internet He can be heard and seen by millions at the same time. In America He is speaking English; if He were in Japan He would speak Japanese; in Russia in Russian, China in Chinese, in South America, Spanish or Portuguese. So millions will hear and have access to every interview He gives. Q. Have all Maitreya’s interviews been taking place on the same channel in the USA so far? A. Yes. The same channel so far. Q. How long do the television interviews last, on average? A. They last on average about half an hour. Q. (1) I think it’s been said once in Share International that during Maitreya’s first appearances on television, He would show Himself in a restrained way, as if He was trying not to let people know all His radiation, in a way to give us time to adapt ourselves to His presence. Has this happened? (2) Can we expect a clearer ‘energetic message’ or impact in the following months, when we see Him on television or the internet? (3) Have the appearances of Maitreya been as successful as planned? A. (1) That is not exactly the case. He presented Himself in a restrained way, a quiet way. He was at pains not to frighten off those He is trying to help. That continues to be the case although He is more forthright than He was at first. It is nothing to do with His ‘radiation’. (2) He will certainly be more forthright but He is also careful to restrict or temper His ‘energetic presence’. (3) They have been reasonably successful so far. Q. (1) In Maitreya’s television interviews in the US does he always go by the same name? (2) Does Maitreya always look the same in all the TV interviews? Is Maitreya using his actual body for the interviews or is he using a familiar for some or all of them? A. (1) Yes. (2) He varies His clothes (as we all do). He is using the body in which He appears in the world. Q. 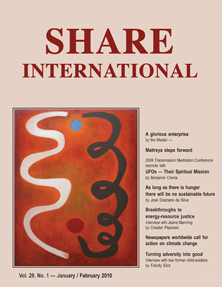 You say in the January/February issue of Share International that you cannot give a specific time, day, or any information about Maitreya’s interview for such and such reasons, then in question three you say that there is not a specific date for the Day of De­claration and this is not planned for 2012. I assume that the argument about people accepting Maitreya for what He proposes and not because they think He is the World Teacher is still valid here. But in question four you say that the media will give the time when the Day of Declaration will take place. So, can you clarify this, please? A. The media will make the arrangements for the Day of Declaration when the people call for Maitreya to appear before the world. Q. It is really wonderful that Maitreya can be seen and heard by tens of millions or even hundreds of millions of people everywhere in the world. I remember when the journalists were waiting for Maitreya in London with Patricia Pitchon [31 July 1985], when apparently Hierarchy decided to move forward, and was attacked by evil forces, specially those from Outer Space, those called Cosmic Evil forces. So Hierarchy had to shield the Earth and some moves in the Reappearance had to be postponed. Now that Maitreya has moved forward, does it imply that our planet is more shielded against intrusions from Cosmic Evil forces, as a consequence of permission given from divine levels of our planet and beyond, to permit Hierarchy to work without being interrupted? A. No. Maitreya took advantage of an opening of a window of opportunity at a given time. Q. Could you say something about the recent earthquakes in Haiti and Chile? A. Earthquakes result from a combination of factors. The earth’s tectonic plates move and cause pressure which erupts in a volcano or an earthquake. That happened in both Haiti and Chile but in the case of the earthquake in Haiti it also had a karmic origin due to the internal pressure in Haiti over many years between a series of repressive governments and the people themselves. That interchange between the people and the governments who kept the people down resulted in tension. There is an outflow from that relationship which is fraught with tension, building up into a karmic situation, which if the tectonic plates move will certainly cause an earthquake to erupt there. The earthquake in Chile was caused by the movement of tectonic plates only. It had no karmic origin, unlike in Haiti. Q. A process of demonstrations of public discontent seems to be growing – for example in Greece, against austerity measures, government spending cuts etc. Is this the beginning of the rise of people power which will eventually include recognition of Maitreya – or, at least, His priorities, His ideas, and eventually swell to demand more of His presence on international television? A. No. As yet it is mostly local selfish reaction to unpopular government ‘cuts’. Q. Please ask your Master what the latest figures are on (1) surplus food production and (2) global annual deaths related directly to hunger and malnutrition. A. (1) About 12 per cent. (2) Nearly 3 million people. Q. I have read that the painting by Leonardo da Vinci, ‘Madonna and Saint Giovannino’, has painted in the background what appears to be a UFO. (1) Is the golden orb in the background of da Vinci’s painting an image of a UFO? (2) Did da Vinci have direct knowledge of the Space Brothers during his lifetime? (3) Are there any other Renaissance paintings with images of UFOs in them? A. (1) No. (2) Yes. (3) Yes. There is one in the Courtauld Institute of Art in London. Q. On 11 January 2010, I listened to Susan Richards on BBC Radio 4 discussing the lecture she was giving to the Royal Geographical Society in London entitled ‘Lost and Found in Russia’. She told of the strange stories during her many visits to Russia, one being of a prosperous, happy community in a remote area unknown in the West. This community is heavily polluted all round the surrounding area; there is also political unrest. It is visited by an epidemic of the paranormal: an epidemic of sightings of ‘UFO derived beings and little hairy devils’. The person leading the community was convinced this was a benign phenomenon inspired by a cosmic intelligence and sent on a mission to help them. Susan Richards contrasted the leadership of that commun­ity, that of leadership by example in the Quaker tradition, to the ‘top down’ of Putin’s Russia. What is going on here? A. This community is an outpost inspired by the Master Jesus as an experiment in community living. ‘UFOs – Their Spiritual Mission’ was the theme of Benjamin Creme’s keynote talk at the US and European Transmission Meditation Conferences in 2009. His talk was published in Share International, January/February 2010 and Part 1 of the Question and Answer sessions was published in Share International March 2010. The concluding Questions and Answers, Part 2, follow here. Q: In our approach to the public and the media, should we speak more about the ‘star’ and the Space Brothers, in relation to the emergence of Maitreya? A: As a member of this group, there is no difference in talking about the ‘star’ or about the reappearance of the Christ and the Masters of Wisdom. They are part of the same process. It is not one or the other; it is all part of a whole. It is the latest phase in a process that has gone on for years, by which Maitreya and the group of Masters Who are coming with Him re-enter openly the modern world. They have already been in position in the world for years. This is a new phase and the ‘star’ is there as a herald for Maitreya’s process of working openly, reaching humanity through radio and television. The ‘star’, of course, is not a star. It is a spaceship, a UFO, an enormous spacecraft. The ‘usual’, ‘everyday’ scout-craft UFOs are only about 25 to 30 feet in diameter, which is big but not all that big. The ‘star’ is gigantic, the size of five football fields put together. If the reality of the ‘star’ can be presented to the public it does two things: it is a herald for Maitreya’s advent in the physical, everyday world, and is also proof of the reality of the Space Brothers. These ‘stars’ must have been made somewhere. I cannot prove to anyone that they were made on Mars and Venus, but that is my information, and I present it to anyone who wants to know. These two important things come together in this story: Maitreya’s approach to the public beginning with His coming on television in the very near future (although unannounced as Maitreya; He will use another name at first), and also the knowledge of UFOs as reality. You cannot talk about one without talking about the other. Q: There is a potential problem when contacting the media and astronomers when the ‘star’ is in the vicinity of a known celestial object (Venus or Jupiter, for example). This affects their acceptance of the phenomenon. Will this situation clarify with time? A: No, I do not think it will. This is the age-old response of experts or anyone in authority. Whatever comes within the range of their particular discipline comes also within the range of their inhibitions, their credibility, antagonisms, predilections, their sense of knowing all about all in their own discipline. You must remember that the idea that flying saucers exist has been debunked by most countries in the world through the world’s media. The media have shown their reluctance to make any clear-cut, unbiased investigation of this phenomenon for over 60 years. Nothing makes them change their approach today. More people than ever before, hundreds of thousands, have had experiences that leave them in no doubt that flying saucers exist. But for these experiences to be taken seriously and given solid confirmation by people in authority, to expect astronomers to give credence to this phenomenon, I will not say is foolish, but it would be approaching the miraculous. The media are not on your side. It is a struggle to make it known. But that does not mean you should give in or get aggressive. You should just plough on presenting information to the media. Already unofficial channels like YouTube are filled with stories of the ‘star’, some under the name Maitreya’s ‘Star’, others under the name of What is this Amazing Object? Is it a UFO? That is what we want to get across to the media. It does not have to be mainstream media in the first place, like CNN or something of that nature. 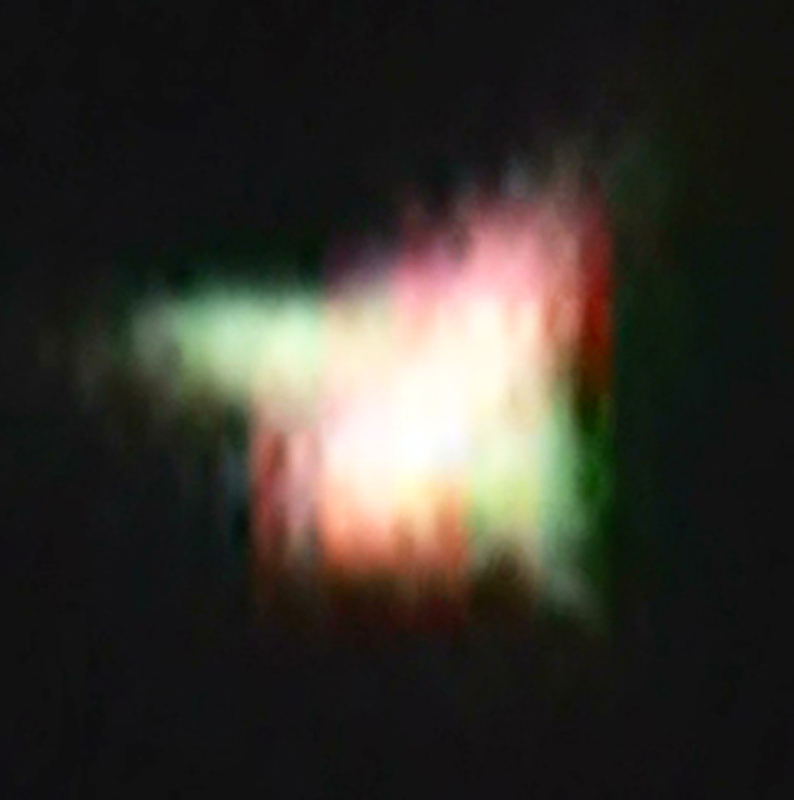 But there was a report on CNN in Houston, Texas, I believe, in the very early weeks of the appearance of the ‘star’, when someone photographed it and sent the video in. They showed the video on television and I saw it myself on YouTube. It was quite clearly the ‘star’. They did not know what it was, but the woman presenter was thrilled with it. She was very congratulatory to the man who took the video because he had obtained a video of this extraordinary object. So it is possible to get the media to cover this story, although maybe not at a high level. Q: Does the ‘star’ change position and colour in such a subtle way so that it is gentle enough to alert people but not to frighten them so that it does not cause fear or panic? A: Yes, precisely. That is the way the Space Brothers behave and the way they make crop circles, for example. They want to contact the Earth. They want to allow people to understand what they are doing, who they are and where they come from, but they know all the glamours of humanity. They know how easily we become afraid. They witness the fear in people. Very often when they come down in the night, people walking along a country path might come upon a saucer already landed and when they see it they are so terrified that they run. This happens over and over again throughout the world. It is due to the fact they have been portrayed so adversely, so uncharacteristically, by government agencies and films as being horrible, neurotic, distorted minds performing obscure operations on poor innocent people, taking them up and putting needles and gadgets inside them in order to control them. Nothing could be further from the truth. They are entirely different in their behaviour, and do not want to frighten people. They have work to do. They would like us to know and acknowledge it and to know consciously what is happening, but they know they have to step warily. So they do their work ‘privately’, in such a way that you can make up your own mind. In this way your free will is left intact. They never infringe human free will. Q: Are governments or media actively suppressing information about the ‘star’? A: Governments are not suppressing information about the ‘star’, but some media definitely are. The attitude of the media is that there is not sufficient demand, not sufficient noise about it. They do not have enough information. They would like to send out their cameramen to photograph it, if only they knew where it would be, but they do not take the trouble to look for it. They want to know in advance where the ‘star’ will be on such and such a day, and their cameramen can go out and get a really first class film to show on television and it will be worthwhile. But, of course, that is not going to happen. No one can supply that information. That is one reason the media tend not to respond. They want it on a plate. They have always wanted this story on a plate. Likewise, if I had told them when Maitreya was coming on a particular programme they would all be there with their cameras. They would assess whether that person could be Maitreya or not, and in the end they would not know. So unlike is Maitreya to their idea of the Christ that they would probably just ignore that particular person as a possible Maitreya or Christ. When He came to the office of the BBC, they rejected Him. He was in the office of the BBC in around 1986. He had interviews with the Director-General and colleagues. They were shown the last hours of Jesus on the cross as if they were there. They witnessed it. They saw it with their own eyes. They experienced it. They saw the agony, the blood, the people, all of that. The Master Jesus was asked by Maitreya to come into the office and He came, so that they met the Master Jesus as well. They were asked and agreed to mount a big press conference at which Maitreya would appear, talk to the journalists and answer all their questions. But they did nothing about it. Instead, they made the information known to the Queen who, as head of church and state, they thought should be the first to know. They probably knew what the Queen would do, which was to call on her advisors in the church, the Archbishop of Canterbury and the Bishops. They met, and their view was that there was no way that this could be the Christ without their knowing. So there was a complete embargo on this information. That is why Maitreya had to take this long slow way round of nearly 30 years, working behind the scenes, gradually preparing the way, making it possible to come out now when a window of opportunity has been created with the collapse of the world’s economy, which He forecast in 1988. There is no guaranteeing with media. You can put it in their lap and if it is not what they expect, they do not see it. They are frightened people. People in authority on the whole are frightened of this story. It upsets them to have to make any big decision around it. So it is better to leave it alone, not give it any kind of energy and just ignore it for as long as it can be ignored. If there is any truth in it, that will come out eventually. But they will not have their sense of security or the status quo altered. By all media logic this story should be as dead as a dodo. On the contrary it is more alive and consciously present in people’s minds than ever before. Why? Simply because it is true. Q: In your talk you mentioned that the Space Brothers are gentle and subtle. 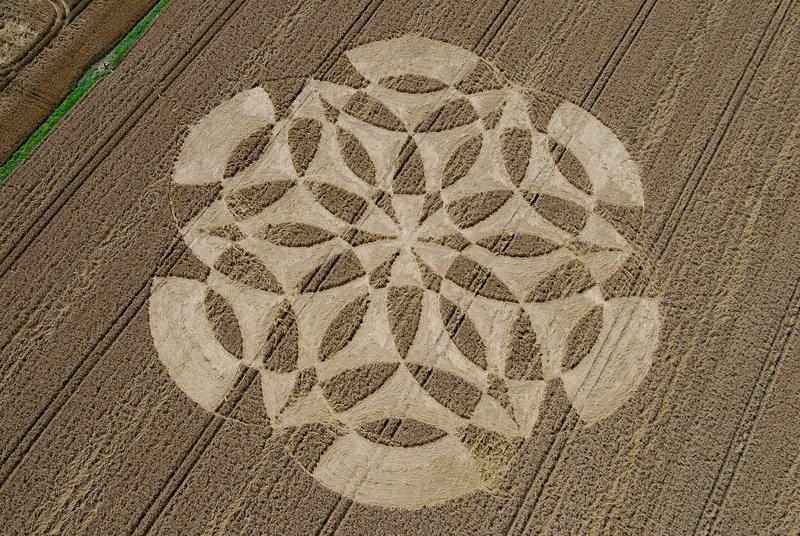 A: It is obvious by the way they have presented themselves through crop circles, crosses of light on buildings and so on, that they are capable of the most gentle type of approach. That is normally part of their way of doing it. They do not want to infringe human free will or create havoc. Their approach is tangential. They go about it very quietly, just showing you, if you have eyes to see and a mind to think with, that they have left their visiting card, clearly stating: “We are from space, the other planets of your system. We have come to help you. We are engaged in work on your behalf. Here is a sample of our work. 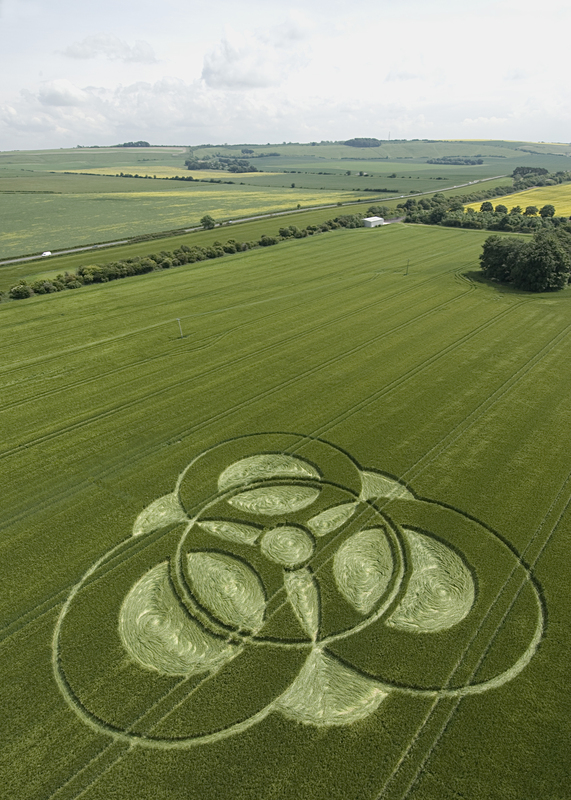 We hope you like the ‘drawing’.” We have to ask where the crop circles come from. They appear in the middle of fields in Wiltshire and elsewhere, enormous things. They cannot be made by human hands and yet there is nothing to show how they were done. They are actually created in a few seconds, however big they are. The plan has already been drawn up, the machinery is set, and as the craft moves for a few seconds over a piece of ground, the turning, crossing and bending of the grass of the crop takes place automatically as they guide the craft in. It has all been planned in advance so that the craft will not do anything else. But it is quiet. Crops are seasonal and at the end of the season when the whole thing is cut down there is no sign of the crop circle. 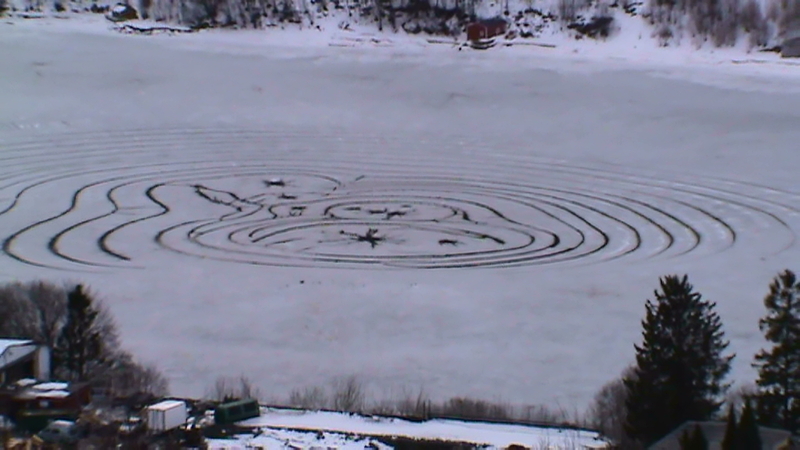 Some people say: “I have never seen a crop circle in my life. I know some people say there are circles, but I do not believe it.” People can say that because the crops have all been cut down when they visit. The Space Brothers work quietly. In that sense, I believe they are quiet. But when you work for the Space Brothers, you have to be dedicated to their work because they are without the ability to be tired. They are tireless in their devotion to helping Earth, and they expect those who work with them to be the same. I mentioned Maitreya’s message of sharing, justice and peace, and that we are all part of one human family. He nodded his head in agreement. He then asked me if I had heard of the author Daniel Pinchbeck and Evolver.net and I said yes. He said: “It doesn’t matter how we awaken, but that we do.” The topic then switched to God, at which point he said: “God is in all things. God is this (pointing to a street sign), God is everywhere.” I suggested that God is “energy and the laws which govern those energies”. He said he liked that definition and that it was much better than God being depicted as “an old man with a white beard”. I asked his name and he said, “David”, which is my name also. He thanked me and said he had to go. We shook hands and I gave him a flyer then turned to pick up my bag. When I turned back around he was gone, completely vanished! David was a truly captivating presence, with sparkling green eyes that were filled with compassion. I felt inspired the rest of the day. Was ‘David’ the Master Jesus or Maitreya? When I was 18 years of age (29 now) my life was in ruins. My family had separated, my mother moving and taking my brother with her, two states away. My father was severely depressed, and I was in my own personal hell of self medication and misery. Anyways, I was lying in the messy, beer can-ridden basement of my house trying to fall asleep (which took me hours due to mild insomnia). Tossing, turning. Now, here’s the interesting part. I was lying with my eyes open, worried, full of anxiety, crying about how low my life had gone. Aching for a connection to Jesus, God, an angel, the devil, anyone who would listen. Suddenly, I was in some sort of dream state, I remember I was lying in my backyard, looking up at the sky, and saw directly above me a shining man with a white beard and atop a magnificent white horse gazing down at me. He extended his hand toward me, and I was literally overcome with the most powerful emotion of love, peace, happiness you could imagine. I could do nothing but wrap my arms around myself and squeeze. At that time the ‘dream’ ended. I could not make out much detail, but saw him very clearly. He wore almost luminescent white robes, and some sort of hat of the same color. I think his skin was Caucasian. He basically looked perfect, like you would expect in an artist’s rendering of God or an angel. I’ve had many strange dreams, but this felt nothing like any I have ever had. I still remember that feeling, it was so powerful. I know it sounds very cliché, a white bearded man on a horse, and it makes no sense to me either. Why atop a horse when he is in the sky? The being didn’t need to say a word, or show me any ‘signs’, simply gave me that feeling, almost like being electrocuted by love and harmony. Could this have been one of your Masters of Wisdom communicating to me? If so, thank him for me. It changed my life. A.G., living near Charleroi, Belgium, had just begun Transmission Meditation, in mid-October 2009, with her sister. Two weeks after the start of the group she went on the internet to look up the Partage International site [French Share International website]. She went to the ‘presentation’ page and clicked on the pictures. When she clicked on Maitreya’s photograph from Nairobi it was as if it was a video: Maitreya put his head on the side, turned 90 degrees, walked for a couple of seconds parallel to the person, then turned 90 degrees to face her again and looked at her (she was with her sister). His eyes were very dark but bright and there were some light around the eyes. Several days later she went to click again on the same photo as she wanted to share it with the Transmission Meditation group but the photo remained static. She would like to know if her imagination played a trick or was it a genuine experience. Was it the work of a Master? Was it a blessing? On the evening of 16 March 2010 three of us were in Euclid, Ohio, on a high bluff overlooking Lake Erie. Shortly after arriving there, a star-like object or UFO suddenly appeared in the skies to the northwest. One person in the group who had a compass commented that it was on a heading of 300 degrees. As we watched, the object gradually brightened and began sparkling as it remained stationary. Some time later, it slowly dimmed until it was no longer visible. Over a period of an hour, this phenomenon repeated itself several times – with the object appearing, disappearing, and then reappearing in the same position. 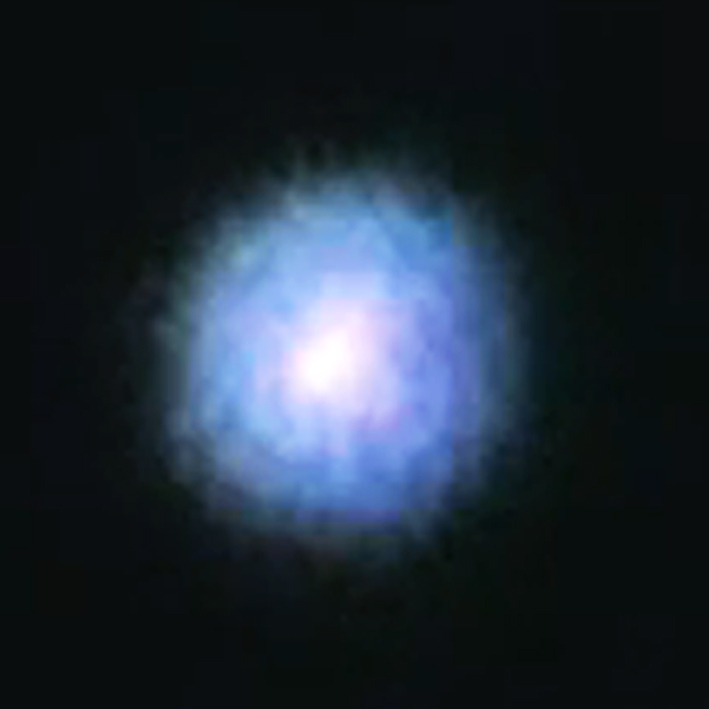 One person, who has been photographing this activity for two weeks, said that the infrared feature on his video camera allows him to see the UFOs after they have become invisible to the naked eye. He also said they can become quite brilliant. As soon as that comment was uttered, the luminosity of the star-like object increased dramatically and was momentarily brighter than the star Sirius (which was also visible to us). Later, a second UFO or star-like object appeared to the lower left of the first one. For several moments, these two hung motionless in the sky together. Then the second one began moving towards the position held by the first one. A minute or so later, the first object began moving towards the position where the second object had appeared. This conveyed the impression that they were switching positions with each other. Once this ‘exchange’ had been completed, the second star-like object became stationary. The first one then receded very slowly, as if on a westerly trajectory (i.e moving away from us). As it departed, the light gradually dimmed and began taking on a deep red hue the closer it approached to the horizon. When we were leaving the bluff, the second star-like object emitted a flash of brilliant white light and then disappeared. Can you say whether these star-like objects are the ‘star’ that heralds Maitreya’s emergence? Were the brilliant flashes of white light a response to our thoughts? On 14 January 2010, I went to my ophthalmologist for a check-up in order to buy new contact lenses. He took a photograph of the inside of my eyes and told me, while comparing it with the photos taken before, that I was getting glaucoma, which had already progressed half way. He explained that glaucoma normally occurs for people over 40 and since I am still a young university student, he recommended to have my visual field tested. I went home and consulted with my parents. They recommended me to go to a bigger hospital. So, the next day I went to a campus clinic to get a doctor’s introductory letter to the University Hospital. That night, at around 2am, before I went to bed, I checked my e-mails and saw a group e-mail submitted by Mr Creme informing us that Maitreya had had his first interview on American television. I was so surprised that I read it again and again. I felt joy spontaneously welling up in my heart. On Monday 18 January, I went to Keio University Hospital. The ophthalmologist was a refreshing, reliable doctor. After conducting various examinations, he said that there was nothing wrong with my eyes and no sign of glaucoma. I was much relieved. I could not help but think that a miracle had happened. As I always tell in my Reappearance talk that miraculous healings would take place on the Day of Declaration, I had wished that it would happen to my eye. Did I receive a healing? On Saturday 23 January 2010 at 7.15pm I was on a bus near Alexandra Palace, London. I had been reading an article about how artists can bring awareness to environmental issues, pondering how I could contribute as an artist and how Maitreya’s emergence will change things radically in regard to the urgency of the need to alter our ways as a species. I looked out of the window and noticed two orange lights to my left in the sky. I discounted the fact that they were aeroplanes or helicopters as there were no other lights that would normally be seen. As I grew more curious I noticed two more orange lights and felt the need to get off the bus with the thought in mind as to why had no one else on the crowded bus noticed the unusual phenomenon. The spheres were hovering as if in groups of two, one under the other, four in total. As the bus came down to the bottom of the hill the spheres disappeared from my view. When I got off the bus two new lights appeared, large, glowing and almost pulsating and stayed constant for a minute or so. Then suddenly they began to quickly disappear into the sky, becoming smaller and more distant until I could not see them anymore, all within a few seconds. Were these the Space Brothers? I have no other explanation. Martina Maturana, a 12-year-old girl living on Robinson Crusoe Island, 429 miles from Chile, saved many of the inhabitants on 27 February 2010. She ran to the square in the only village of San Juan Bautistato, to sound the alarm-bell, waking up the 700 islanders and warning them of the coming tsunami, after a massive earthquake had struck Chile. It was just in time – within minutes the huge tsunami wave came, destroying everything in its path. On 21 February 2010 at 10.30pm in our home in Highbury, north London, I heard my husband say from the back room with the big window facing north, “That’s weird, I’ve never seen anything like that before.” I immediately got up, somehow sensing what it might be. I saw red and yellowish lights as a whole, shimmering and hovering aglow in a big halo of light just under the cloud level. We both watched it for 30 seconds before I said: “Quick, get the video,” but the battery registered flat. It then departed (faded). My husband’s version is it was like a flame in the sky and because he saw it for about 30 seconds before I did, it was a lot bigger and closer than when I saw it. He didn’t see the glow around it like I did. When he first saw it he thought it might be a helicopter or plane on fire. The lights were very strong. I was wondering if there have been any other sightings and whether it could be verified by Mr Creme? I have been spotting overly active stars for the last six months in our skies. However, on Thursday 25 February 2010, I woke at 3.30am and spotted the most beautiful ‘star’ bouncing around for over half an hour, right in the middle of the night for anyone to view who was awake. I woke my girlfriend who shrugged it off and complained that I woke her but I feel it was something more. 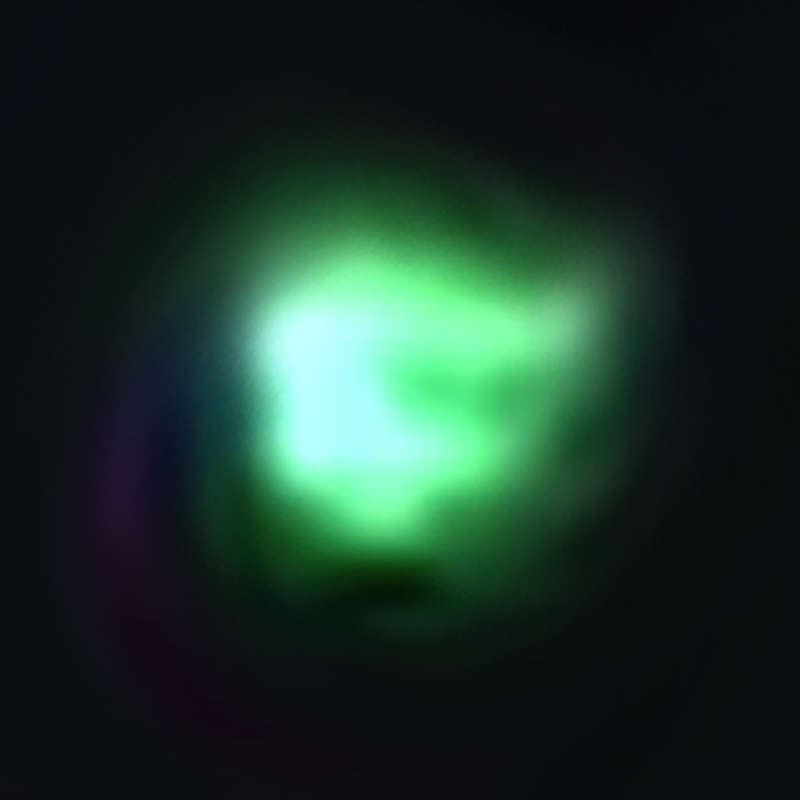 It appeared in the western sky towards Fremantle that night and I have seen it near this way before but never this size or colours. Was this the ‘star’? I would like to ask a question regarding a sighting of a cylindrical object in the sky near my house on a Sunday morning at the beginning of February 2010. On the night before I saw this object, I had a strange dream that the sky near my house was full of spacecrafts of all kinds. One of them launched a device in the backyard of my house, and a person came from it, then another two or three people. If I can remember they were two men and a woman. They talked to me briefly, but I can’t remember exactly what they said. In the morning I woke up and saw an object near my house. (1) Did I have a dream encounter with some of the Space Brothers or was this just a regular dream? One week later, I had another similar dream. I dreamt that the sky was again full of spacecrafts. It was a more vivid dream, and I saw some of them entering an underground facility. (2) Is there an underground facility of the Space Brothers near the region where I live? These pictures were taken after our meditation on 16 March 2010, at Claremont, Ontario, which is about 40 miles north-east of Toronto, about 10.15pm. The ‘star’ was in the eastern sky, and was changing colour – blue, green, yellow, red, and blending the colours as it changed from one to the next. I photographed the ‘star’, and immediately looked at the images on my computer. 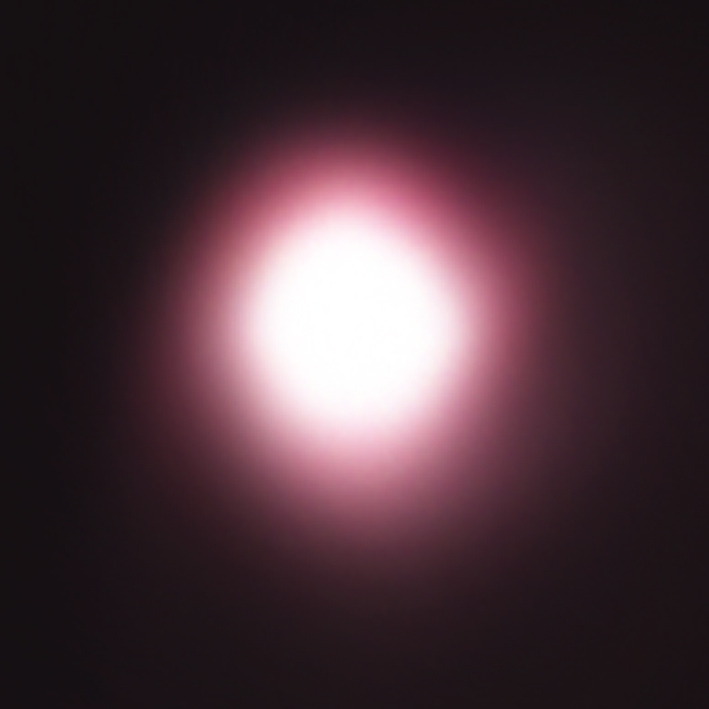 There was no ‘photoshop enhancement’ of colour, etc, except that because the image of the star was small, I did use a photoshop plug-in to ‘rez’ the images up to decrease pixilation. The colour and shape of the images is exactly as it was photographed. I took 34 exposures in total, and some exposures were barely one second apart. The ‘star’ seems to change shape from one image to the next. I have observed stars and planets for most of my life, and I have never seen a star or planet behave in this way. It can only be Maitreya’s ‘star’. Would you please confirm whether or not this is so? Camera used was a Nikon D700 with a Nikkor 80-400 mm VR lens. Share International has always pointed to one of the world’s cruellest and most paradoxical of injustices: that many millions starve while there is more than enough food in the world to feed us all. That food is simply wasted. Tristram Stuart’s book, with its eye-catching title Waste, provides the irrefutable evidence: worldwide we waste food on a colossal, crazy, mind-boggling scale, both individually and collectively. We ‘know’ this but Waste impressively and comprehensively shows us how it comes about, through personal stories, vivid case study material, including his visits to South East Asia and Pakistan, and a vast array of impressive, detailed footnotes and statistics. As Stuart suggests in his introduction: “Industrialized nations need to learn what it means to live in scarcity because the appearance of infinite abundance is an illusion” (pxxii); later, he makes the accusation that “all of us in the affluent world deprive others of food necessary for survival, often for the most whimsical of motives such as filling our fridges with food we never eat” (p85). Waste begins with Stuart’s own story and the very first sentence suggests the theme of how the global and the individual impact on each other: “I first caught sight of the world’s food waste mountains when I started rearing pigs in my mid teens.” He fed his pigs on ‘waste’ food that he collected from school kitchens, market stalls and local shops, setting up in the process a healthy barter system. He quickly realized that his small efforts to use leftovers were pathetically insignificant in the face of the waste being generated around him. This led him to a quest that resulted in this book: to find out more about waste at all points of the food chain at home and eventually worldwide. More ambitiously but straightforwardly, Stuart sets out to explore what we can all do, what needs to be done, to change the shameful situation he exposes. Stuart’s first research comes from scavenging for food thrown out as waste by restaurants and shops, particularly but not only supermarkets: mounds and mounds of it, which he describes in both graphic and statistical detail, as an ex ‘freegan’ (somebody who scavenges and passes on food) himself. The feckless and greedy practices of supermarkets crop up throughout the book. They usually refuse to give leftovers to those in need; refuse to give up over-stacking their shelves; refuse to give up exploitative and wasteful contracts with farmers who supply them. But there is no way that we can just pass the buck to supermarkets; small shops, restaurants, farmers and individual households are all responsible, as are governments, global corporations and regulatory bodies. Stuart moves on to look at policies and practices – misleading sell-by dates, subsidies to farmers for over production, bizarre ‘aesthetic’ standards that turn natural, quirky vegetables into ‘flawless’ mechanized, straight-lined manufactured objects. The western developed world is clearly the main culprit of the book but the waste in Pakistan (described in a chapter tellingly named ‘Moth and Mould: waste in a land of hunger’) is just as distressing. Mainly through an incompetent use of newer, though simple, technologies, the country’s grain harvest suffers massive loss through bad storage, or it is retained and causes sickness; corruption and mismanagement abound in a country that is rich in resources and theoretically centrally regulated. Stuart never gives up; throughout the book he stresses that we can change ; waste often presupposes an over-sufficiency – and he traces the historical roots of over-production lest we imagine that this is something new. Wasting food is inefficient as well as immoral: “Reducing waste is not just a way of improving efficiency but also a way of lifting some of the world’s poorest people out of malnutrition” (pxxii). The responsibility begins with the individual – and, always practical, the book points to what one person can do. In his account of governmental policies in Japan and South Korea Stuart also illustrates how effective regulatory government action can be. Waste is highly persuasive with its stories, passion, telling quotations and witty chapter headings, as well as the daunting statistics and careful and thorough research. It has certainly raised this reader’s consciousness. I have become acutely aware of and regularly notice how I waste food, and I am trying hard to change my daily practices in buying and use. However, one omission seems to be a discussion of policies for those countries such as in Africa (which his book does not refer to) that simply cannot produce enough food and where therefore the notion of ‘waste’ is less relevant. Here re-distribution that Stuart mainly discusses in terms of national practices surely becomes more pressing on an international scale. In the final chapter, Stuart offers an action plan for consumers and parents, governments, farmers and supermarkets. We can all take responsibility for making changes ourselves and for putting pressure on corporations and governments. Inspired by books like this one we can all make an impact. Getting rid of food waste, to ameliorate the condition of millions of the world’s peoples, could be achieved relatively easy. However, as Stuart points out in his Afterword, we then have to move on to the more difficult and intractable problem of how to save our whole planet. Tristram Stuart, Waste: Uncovering the global food scandal. Penguin, UK, 2009. Circle of Health International (COHI) is a non-governmental organization based in Boston, Massachusetts, USA, dedicated to bringing help to women in regions affected by poverty and disaster throughout the world. Leilani Johnson is the Executive Director of COHI. Prior to her role there, she spent two years in Mombasa, Kenya, with the Peace Corps as a public health technical advisor, and helped co-ordinate a drug abuse and HIV/AIDS prevention and care program. Johnson is also involved with the Boston Area Returned Peace Corps Volunteers and the Boston and the Worcester Medical Emergency Reserve Corps. Leilani Johnson was interviewed for Share International by Jason Francis. Share International: When was Circle of Health International (COHI) created and what inspired its formation? Leilani Johnson: Circle of Health International was started in 2004 by Sera Bonds who was my classmate in the Masters of Public Health Program at Boston University. We were taking a class on managing complex emergencies like refugee situations, natural disasters and war. People were focusing on topics such as water, sanitation and food, all very important, but Sera realized there was no focus on the plight of women, especially pregnant women. Women are the caretakers of the family and, especially in emergency situations, women’s health becomes of utmost importance. By focusing on the health of the women, the outcomes for the children and the rest of the family would also be much better. SI: Who staff COHI when it becomes involved in an area where women need help? LJ: Our mission is to build the capacity of women’s healthcare providers in crisis settings. When there is an emergency the involvement comes mostly from volunteers and what we are able to provide from funding. We have a lot of strong connections with midwives, professors and women’s health professionals: nurses as well as psychosocial therapists, psychologists and psychiatrists, who are able to volunteer their time especially in an emergency disaster situation. In addition, there are many public health students who want internships and medical school students who work with COHI in those situations. We also have logistics people who are just as important to make sure that everything runs smoothly. SI: How many nations around the world does Circle of Health International operate in? LJ: We have been in Tibet and Sri Lanka, as well as the United States after Katrina [the 2005 hurricane]. We have also worked in Sudan although that project has closed due to the political instability there. We have two ongoing projects in Tanzania as well as Israel and Palestine. We have operated in seven countries so far. SI: Do the services you offer differ depending on location and needs? LJ: All of our projects are focused on what is needed on the ground, especially by the women’s health organizations that are already operating in the country. We make sure our projects are catered toward what is needed in that area. As an example, on the Israel and Palestine project that we are working on right now the Israeli and Palestinian midwives are looking to have a Midwives for Peace project where they get to know each other as midwives and focus on the profession. The needs of the Israeli midwives are very different from the needs of the Palestinian midwives. Our Tanzania project is different as well. COHI has trained traditional birth attendants to go into the field in Tanzania whereas in Palestine that is not a model that can be used because homebirth midwives are not being used there right now. Each project is a little bit different. SI: Why is there a difference between the midwifery program in Israel and Palestine? LJ: There are different governmental restrictions and different guidelines they each have to follow as midwives in their professional careers. For example, there are very few homebirths in Palestine – almost all the births are in hospital. In Israel a lot of the births are in the hospital, but homebirths are allowed and there are private midwives who do them. Many of the women whom we work with in Israel are actually homebirth midwives as well. It’s a little bit different depending on the laws, rules and regulations that are allowed in the country. SI: Could you describe your outreach in Tanzania? LJ: In 2005 COHI started its work in Tanzania with an organization called Fly, But Manage Your Family (FLEMAFA). It was a good fit for COHI’s work as the area has been hit by a severe drought in addition to ongoing gender-based violence, which in turn reduced women’s access to healthcare. COHI worked with FLEMAFA to not only help train medical practitioners in the Kisarawe district, but also helped to assess women’s healthcare needs in the area. Our assessment found major insufficiencies in the care provided in the district healthcare facilities, the providers available for women’s health services, and lack of education and knowledge regarding maternal and newborn health issues in the community. COHI addressed these issues by helping to secure needed supplies for the health clinics, helping to train practitioners, supplying needed equipment for emergency obstetric care services, and organizing two health summits that created more training for health practitioners and women’s health educators in the area. Currently we are working with FLEMAFA in trying to secure funding for the building of a maternity center for high-risk pregnant mothers near the Kisarawe district hospital. SI: What type of work did COHI perform in Sri Lanka and Tibet? LJ: In Tibet we worked with a local organization to help them conduct an in-depth assessment of the women’s health needs in Nagchu, Tibet. Over two years, COHI helped train local midwives, developed curricula and trained other health practitioners on basic maternal health and emergency obstetric care. COHI’s involvement in Sri Lanka was a direct result of the tsunami in 2004. We worked in one of the most devastated areas in the country, not only from the tsunami but also from over 25 years of armed conflict. COHI conducted the first-ever women’s health needs assessment in the region and helped provide the only women’s health services to a number of refugee camps in that area. SI: Is COHI able to transition from providing emergency services to building a community’s long-term self-sustaining medical services after COHI has left? LJ: It has definitely been a part of all of our projects. There are different ways of fostering sustainability based on what is needed in the area and what the governments may see as the needs in that area as well. Our Sri Lanka project lasted just a few months in the field before we pulled out. The women were able to care for themselves, given our work with them. However, in Louisiana we worked for an entire year. In that project we had worked with women who moved north because of the Hurricane Katrina disaster  and therefore there was an overflow of women in the area and an understaffed women’s healthcare facility. It was necessary to provide health services in the area longer than during the actual emergency. Our Tanzania project has been running almost four years now, which is much longer than any of our other projects that were immediate and necessary. In Tanzania, we helped the organization there secure their own funding so they could keep going with their project. Although we have not pulled out completely, we have stepped back significantly from the training and the events we held in the past. SI: Could you tell us about the values or principles that guide Circle of Health International? LJ: Our values are focused on making sure that the women that we work with have their voices heard and their needs met. We make sure to take the time to figure out what are their needs and how we can fill those needs, given our resources, education, and abilities. In addition, we emphasize that we are not a political organization. That way we can step away from politicizing, such as in the Middle East project. We want to ensure that we are seen as focusing on women’s health issues. SI: You talked about women having their voices heard. How important is it to recognize women as equal partners in the decision-making process when it comes to addressing the needs of communities around the world? LJ: Women know what their health needs are and the health challenges of the women surrounding them. Whether it is teenage pregnancy, domestic violence or a need for prenatal care, the women are the ones who know this information. Often men are not privy to this information because it is a private matter. Women’s health is often not talked about openly. It may not be seen as culturally appropriate, and women may be hesitant or even forbidden to do so. When women born into those restrictive situations have their concerns heard, some of these situations can be alleviated. It could be that they need little things that men don’t generally think of, such as having separate bathroom areas away from the men, but little things can make a big difference in the safety and livelihoods of everyone. Everyone is invited to join a campaign to help safeguard Earth’s resources, with the United Nations declaring 2010 the International Year of Biodiversity. Biodiversity is being lost at an accelerated rate because of human activities – pollution, exploitation of our natural resources, changes in land-use are some examples. “This impoverishes us all and weakens the ability of the living systems, on which we depend, to resist growing threats such as climate change,” says the UN introduction to the campaign. In 1992, 150 world leaders agreed on a strategy to halt the loss of biodiversity, resulting in The Convention on Biological Diversity. Its mission was to find a way to maintain a balance between the protection of the planet’s resources and the rate at which humans develop economically. A target was set to ‘significantly reduce’ the amount of biodiversity being lost by the end of 2010 and the UN is calling on governments, businesses and ordinary citizens to take action now to make sure this is met. It places a large amount of responsibility for halting the destruction of biodiversity on individuals. The Bloom Energy Corporation in California has announced the public release of its Bloom Energy Server or ‘Bloom Box’, a fuel cell technology that the company says creates electricity on-site at low cost while significantly reducing carbon dioxide emissions. The fuel cell consists of stacks of ceramic disks coated with a proprietary ink, along with a metal plate between each disk. Oxygen is fed into the cell on one side, and fuel such as natural gas or biogas (produced from the breakdown of organic matter such as landfill waste) on the other. The oxygen and fuel combine within the cell to create a chemical reaction that produces electricity. No burning of fuel is required, and no power lines are needed from an outside source. When running on natural gas, a fossil fuel, the Bloom Box reduces carbon dioxide emissions by about 50 per cent compared to electricity produced in the US on average. The CO2 reductions are greater, up to 100 per cent, when the Bloom Box is run on renewable fuels such as biogas. The Bloom box is capable of generating electricity at a cost as low as 8 cents per kilowatt hour, which is less expensive than most commercial electricity produced in the US. The cost includes federal and state government subsidies for ‘green’ technology. One fuel cell tile generates enough electricity to power a light bulb. A stack of tiles the size of a large brick can power a house. One refrigerator-sized unit can power a small office building or 100 US houses. The Bloom Box has been successfully tested during the past year by a variety of companies and institutions – including Google, Federal Express, Wal-Mart, eBay, Staples, the San Francisco Airport, and the CIA. John Donahoe, Chief Executive Officer of the online company eBay, says its five Bloom Boxes have saved the company $100,000 in electricity costs in nine months. Their boxes run on biogas made from landfill waste, so they are carbon neutral. UN Secretary-General Ban Ki-moon, former US President Bill Clinton, and other international dignitaries recently launched the MASSIVEGOOD programme, which allows travellers to donate $2 to fight HIV/AIDS and other diseases in the developing world. Travellers will now be able to choose MASSIVEGOOD on commercial travel websites like Travelocity and Accor Hotels, and through travel agents, and contribute $2 to fighting HIV/AIDS, malaria and tuberculosis and to improving maternal and child health in the developing world. The goal is to collect up to $1 billion during the next four years. The money will be given to the Swiss-based Millennium Foundation, established in 2008 to find innovative ways to finance UN health goals, and to UNITAID, a UN-funded international facility that purchases drugs for HIV/AIDS malaria, and tuberculosis. Contributions also will go to the Clinton Health Access Initiative.